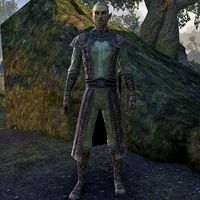 Laurosse is an Altmer initially found inside his house located in the city of Marbruk. He is later found at his camp located west of Driladan Pass, along with two hired mercenaries, where is looking for his missing wife Erinel. This page was last modified on 26 November 2017, at 09:59.